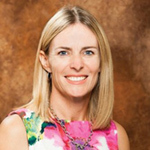 Cristienne De Souza, a popular cruise sales executive who worked closely with home-based travel agents and trade associations, has a new job as vice president of marketing and sales for Resorts World Bimini. 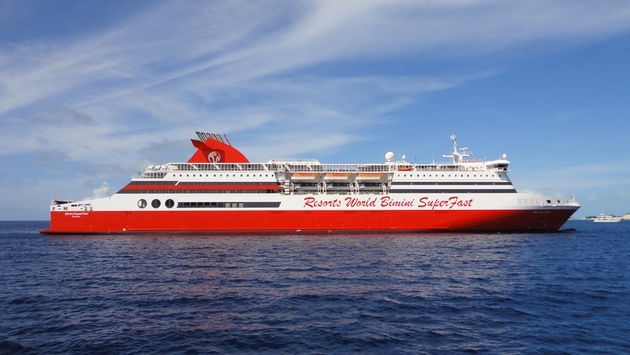 The news comes as Resorts World Bimini announced a schedule change for its Bimini SuperFast, the 180-cabin cruise ship (pictured above) that sails between South Florida and Bimini in about two hours. The vessel now operates primarily two-night cruises from Miami, instead of daylong trips from both Miami and Port Everglades. De Souza previously was director of national accounts at river cruise company AmaWaterways and before that worked for Royal Caribbean International and Celebrity Cruises for 14 years. She was a pioneer in focusing on developing tools and resources for home-based travel agents. At Resorts World Bimini, De Souza will launch, lead and manage strategic sales, marketing, reservations and customer service aspects of the company’s new one- and two-night cruise-and-stay packages. Travel agents earn 15 percent commission on the new cruise-and-stay packages. The 32,000-ton Bimini SuperFast now will operate two-night cruises from Port Miami on Sundays, Tuesdays and Thursdays, departing at 5 p.m. and returning at noon two days later. Additionally, the company will offer a one-night cruise on Saturdays departing Port Miami at 5 p.m. and returning at noon Sundays. Passengers can stay in cabins onboard Bimini SuperFast or in one- or two-bedroom condos at Resorts World Bimini, a 750-acre casino resort operated by Genting Group. Introductory prices start at $199 per person, based on double occupancy. Third and fourth passengers are free and meals aboard the ship during the cruise are included. Port and resort transportation charges are additional. Agents who are aggressively booking resort stays of three or more days on the property still receive a 15 percent commission and are offered complimentary travel onboard Bimini SuperFast for their clients.